NO CREDIT CHECK!!! EVERYONE APPROVED!!! you must have pay stubs, bank statements or last years Tax return to verify Income. BUY HERE PAY HERE with NO CREDIT CHECK is also available on all of our inventory We try and maintain a huge selection of used cars at our Maitland location now serving all of Florida including today's top auto manufacturers including trusted brands like Acura , Audi ,Bmw , Buick , Cadillac , Chevy , Chrysler , Dodge , Ford ,GMC , Hummer , Honda , Hyundai , Infiniti , Kia, Land Rover , Lexus , Lincoln , Mazda , Mercedes , Mercury , Mini , Nissan , Pontiac , Porsche , Saturn, ,Toyota , Suzuki , Smart ,VW , Volvo and Many More. Each one of our used cars in Orlando has been through a detailed inspection by our auto technicians and will run like new for many years to come. You can view our complete online inventory of Orlando Used cars now complete with pricing, photos, features and more. We offer extended service contracts on most of our vehicles for extra peace of mind.HGREG, off lease only, carmax,drive time, dealtime, american car center,cars cars cars, Altamonte Springs Apopka Astatula Auburndale Bartow Bay Lake Belle Isle Belleview Beverly Beach Bronson Bunnell Bushnell Cape Canaveral Casselberry Cedar Key Center Hill Chiefland Clermont Cocoa Cocoa Beach Coleman Crystal River Davenport Daytona Beach Daytona Beach Shores DeBary DeLand Deltona Dundee Dunnellon Eagle Lake Eatonville Edgewater Edgewood Eustis Fanning Springs Fellsmere Flagler Beach Fort Meade Frostproof Fruitland Park Grant-Valkaria Groveland Haines City Highland Park Hillcrest Heights Holly Hill Howey-in-the-Hills Indialantic we try and beat all other dealer prices lake,Drive Time,Greenway Ford, toyota orlando,toyota clermont, Deal Time, Orlando Kia, Value Automart, Credit Cars, Morgan's Auto Express,Daniel's, Jenkins, Automart, Anderson Motors, Wheels auto, cars car cars,greenway, off lease only, Wheel Unik,car deals,in house financing, Freedom cars, Indian Harbour Beach, Indian River Shores, Inglis Inverness Kissimmee Lady Lake,Phillups toyota,Lake Alfred Lake Buena Vista Lake Hamilton Lake Helen Lake Mary Lake Wales Lakeland leesburg Longwood Maitland Malabar Marineland Mascotte McIntosh Melbourne Melbourne Beach Melbourne Village Minneola Montverde Mount Dora Mulberry New Smyrna Beach Oak Hill Oakland Ocala Ocoee Orange City Orchid Orlando Ormond Beach Otter Creek Oviedo Palm Bay Palm Coast Palm Shores Pierson Polk City Ponce Inlet ,Port Orange Reddick Rockledge St. Cloud Sanford, Satellite Beach Sebastian South Daytona Tavares Titusville Umatilla Vero Beach Webster West Melbourne Wildwood Williston Windermere Winter Garden,Winter Haven, Winter Park Winter Springs Yankeetown . We Buy Cars! No Credit Check. o down , 500 down , 600,down, 800 down, 900,down, low down . Approved is all you will hear from us.bhph no beacon free carfax We say yes when Credit Union or the Bank says NO ! BHPH When you hear the words “buy here pay here,” you might become instantly skeptical, and you have a right to be. Most buy here pay here dealerships are just looking to charge you as much for the vehicle and as much in interest as possible. Orlando Car Deals is not like that. We take care of our customers, and we truly want to help you get back on your feet. This means you will pay less, and still get a great vehicle. Speaking of a great vehicle, the team at Orlando Car Deals doesn’t mess around when it comes to our inventory. These are not run-down beater cars. 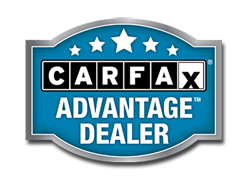 At Orlando Car Deals, our cars are nice and our cars are serviced. We want you to drive off our lot in something that is reliable and will last you many years and many miles down the road. This is an investment in your transportation freedom, and with the cars, trucks, and SUVs in our inventory, you will always be making a good investment. We have a huge inventory that caters to shoppers in the Orlando area. Whether you are looking for a used car, truck, or SUV, surely Orlando Car Deals will have exactly what you need. We have models from all the most popular manufacturers, both foreign and domestic. With our Orlando location, we can serve all of Orlando including Northern Orlando area locations like Altamonte Springs, Winter Park, Eatonville, and countless other areas and communities. Message: Thought you might be interested in this 2012 Acura RDX.